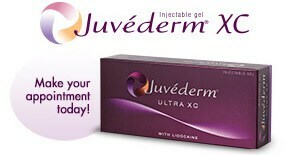 Juvederm is one of the most popular wrinkle treatments in our Baltimore plastic surgery office. Dr. Woodyard uses this filler to smoothen lines and wrinkles around the mouth, as well as add additional volume to the lips. Comprised of hyaluronic acid, Juvederm works best in areas where wrinkles reside closely together. This is because once injected it spreads beyond the actual injection site to add fullness and a softer, fuller appearance. Approved by the FDA in 2006, Juvederm has been put to the test time and time again against other notable filler brands, and in clinical studies has been shown to be both safe and highly effective.